Formerly a graveyard for development sites, the Lower East Side is undergoing a subtle new construction revival. 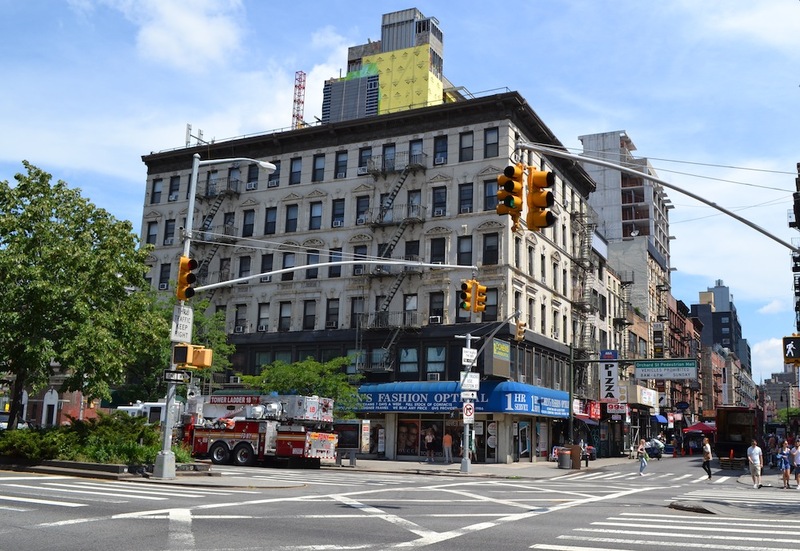 Consider the resurgence of 265 East Houston, which sat neglected for three years after foundation work cracked its next-door neighbor. Now, six years after permits were first filed in March 2008, the 14-unit project is about halfway to its slated 118-foot, 10-story height. We’ve compiled a list of active residential development sites in the neighborhood and mapped them out below. How do we know that they’re active? Because we went there this morning and photographed progress at every location, son. Note that the interactive map below does not include mega-project Essex Crossing, which will eventually encompass 1.9 million square feet of residential, commercial and community space across six acres. Construction is not expected to start there until Spring 2015. 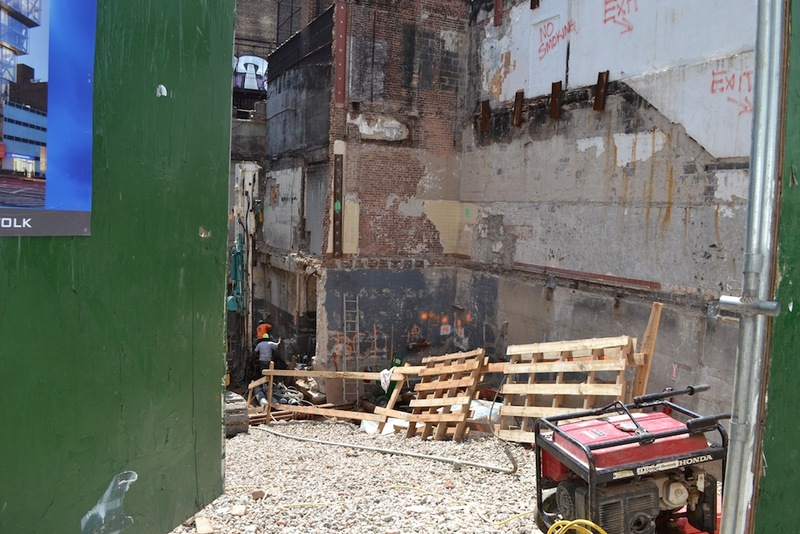 One notable project mapped above is zig-a-zig-ah 100 Norfolk Street, announced back in 2012. 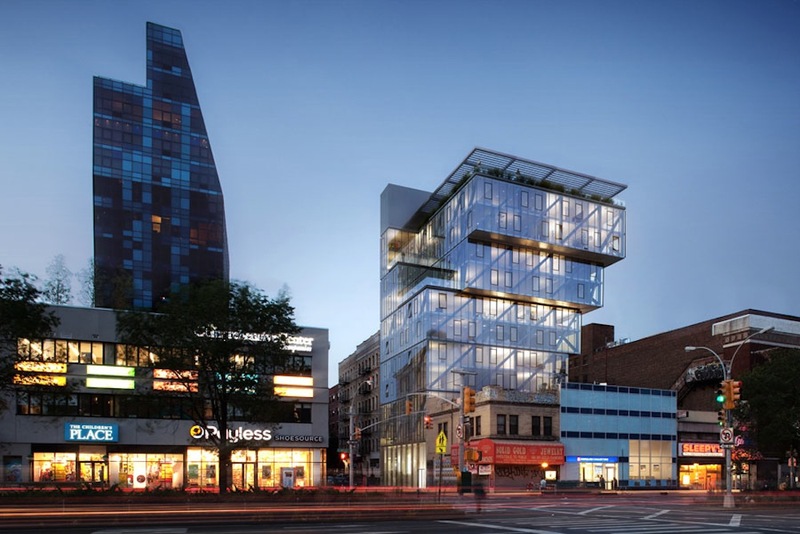 ODA Architecture designed the 38-unit building, which will cantilever over its low-rise neighbors. The site was formerly home to the offices and refrigerators for kosher dairy restaurant Ratner’s, which closed in 2002. Urban-Scape acquired the property in 2012 for $8.8 million, Crain’s reported. To work around 2008 rezoning that limits building heights in the area to 120 feet, the developer transferred air rights from adjoining parcels, which it owns. In 2012, Adam America purchased the property; the current development team consists of Adam America, Horizon Group and Naveh Shuster Ltd. 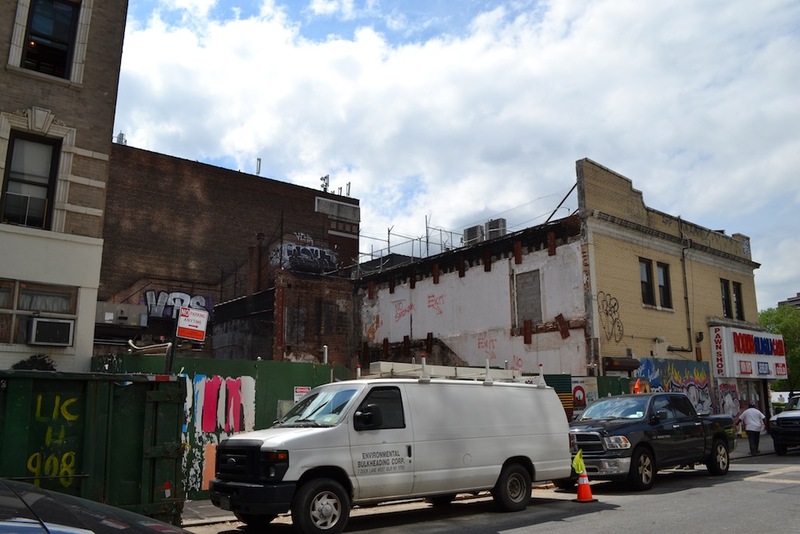 In April 2013, demolition permits were filed for the existing two-story structure on the lot, Bowery Boogie reported. This week, we spotted a teaser site for the building (tagline: “38 units, 100 reasons”), and excavation work is going hot ‘n heavy at the construction site. Photos and research by Yoori Oh. More photos and writing by Joyce Chen. tips@buzzbuzzhome.com, and we’ll add it.